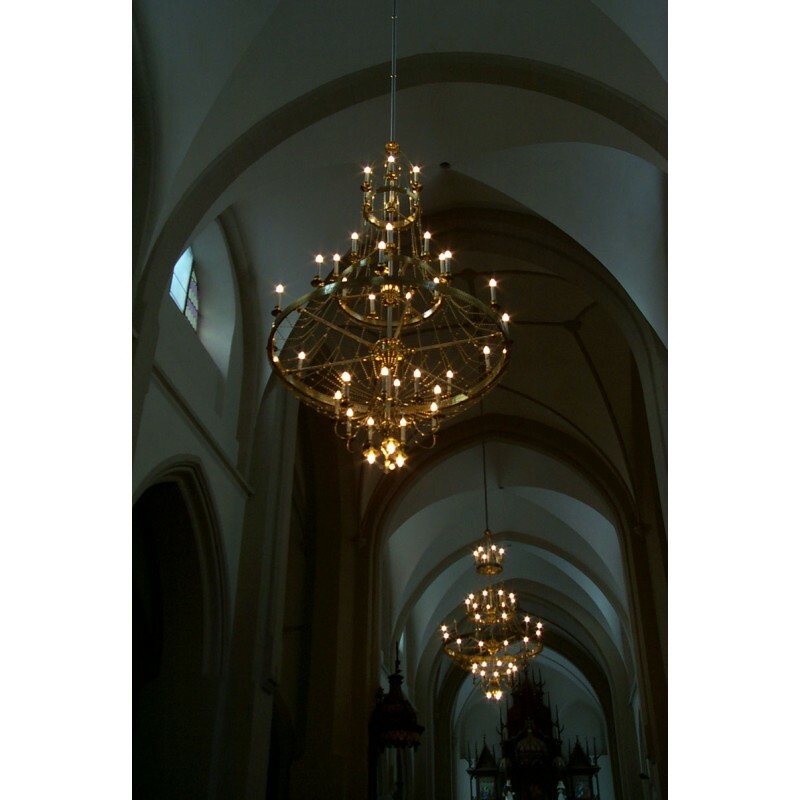 This was a renovation project of an old abandoned Polish Catholic church in Chortkiv (Galicia, West Ukraine). 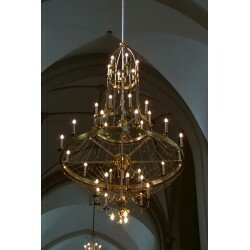 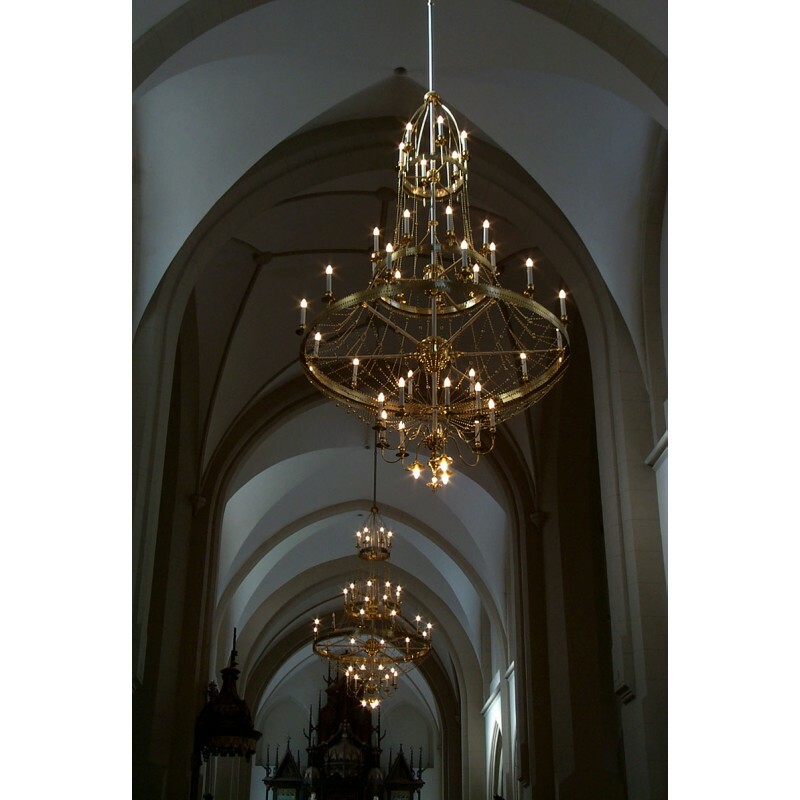 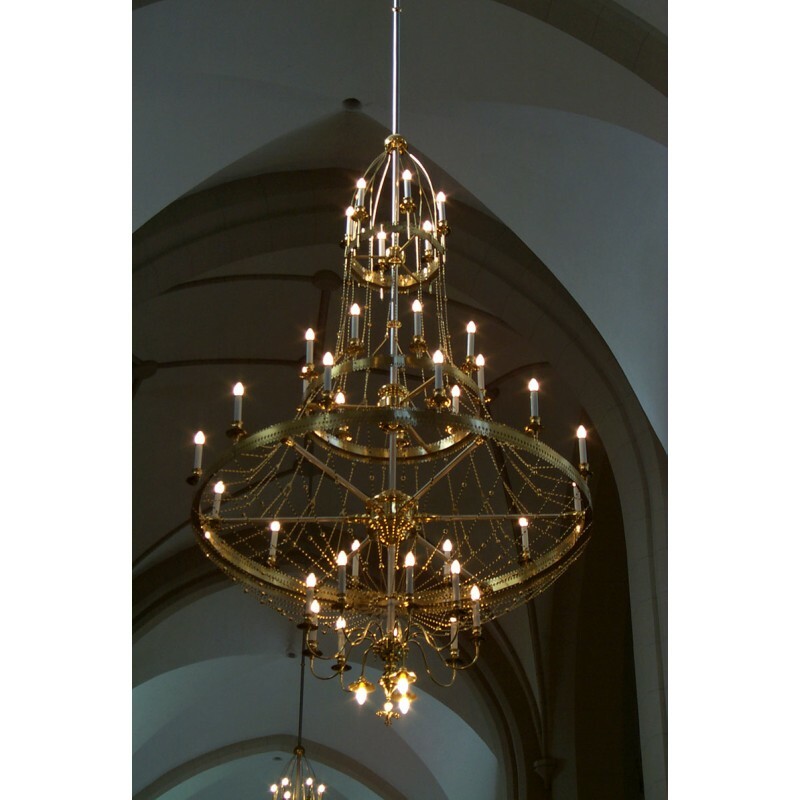 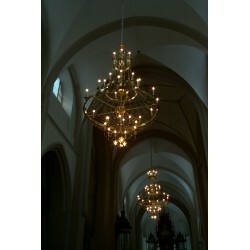 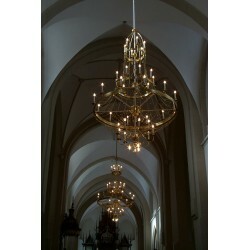 Chandeliers were lost during Russian occupation period so we had to make them from a scratch. 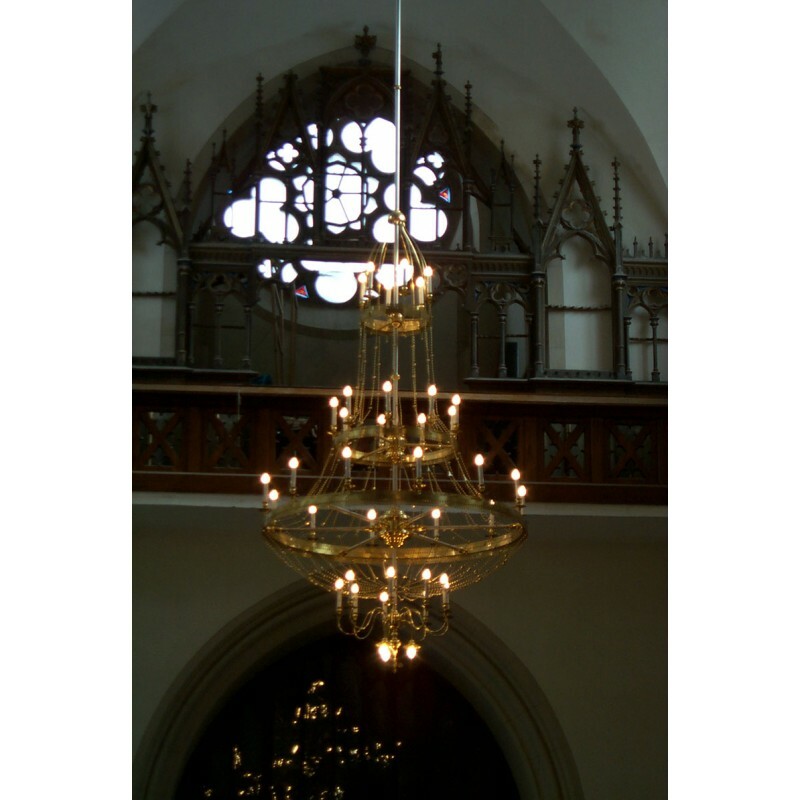 As a result we developed very special new gothic style models. 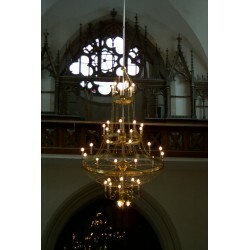 Crystals were not used there but still the brass looks amazing.